Do you ever wet your favorite shimmer powder eyeshadow and wish it could be a liquid? You want the shimmer and metallic finish but not the glittery bits. Yup, me too. 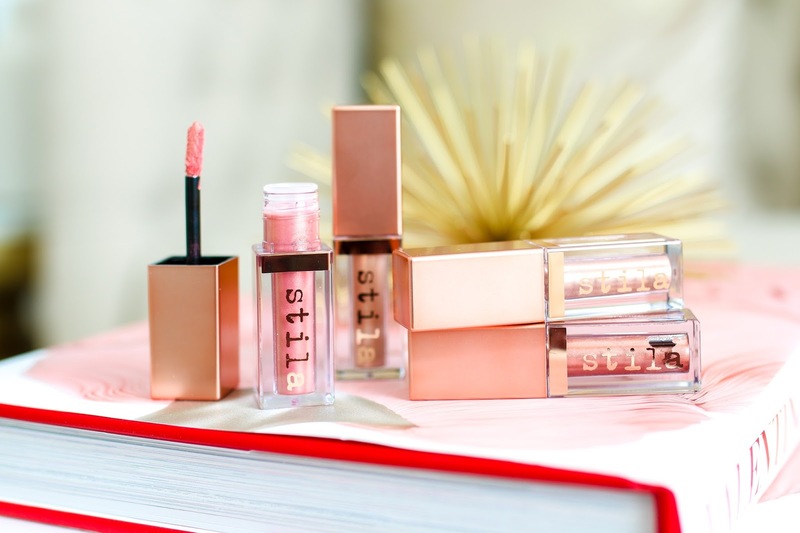 Stila must have heard us because these new Shimmer & Glow Liquid Eye Shadows are just that. They look like liquid metal on the eyes but without chunks of glitter, cracking throughout the day or uneven application woes. Of course there are a plethora of vibrant shades for a more colorful preference, but I picked up 4 of the neutral colors. #nosurprisethere From the first swatch, I was in love! They are creamy but not too emollient, give a brilliant shine to the lid but don't make it look crepey and are so easy to blend. 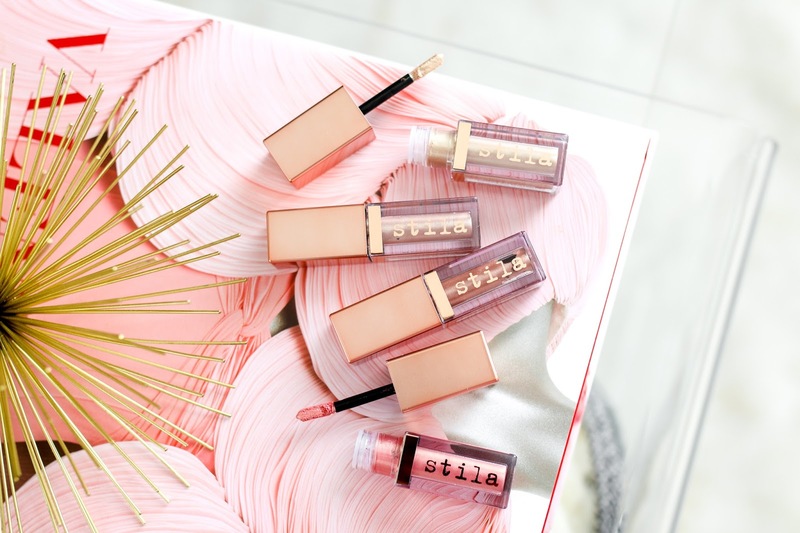 I loved the Stila Glitter & Glow shadows but they were a bit too bold for day because of the intense glitter chunks (I actually prefer to wear mine along the lash line as a liner). However, these Shimmer & Glow shadows are still quite bold but when applied with a light hand and blended out they can be worn during the day. They are long wearing even without using an eyeshadow base and I didn't have any problems with creasing or cracking. I can apply powder shadow over top but prefer to wear them alone. Out of all 4 shades, Kitten was my favorite (it's the perfect beige-y champagne! ), followed by Starlight which is a touch more gold, Jezebel which looked much darker on me but is still a gorgeous bronze, and Carefree which is a delicate rosy pink but not a shade that I prefer to wear. I apply them from the applicator directly onto the eye and then blend out with either my finger or a fluffy blending brush. Overall these were a major win for me and I absolutely love the formula! I highly recommend giving these a go for your spring makeup wardrobe. 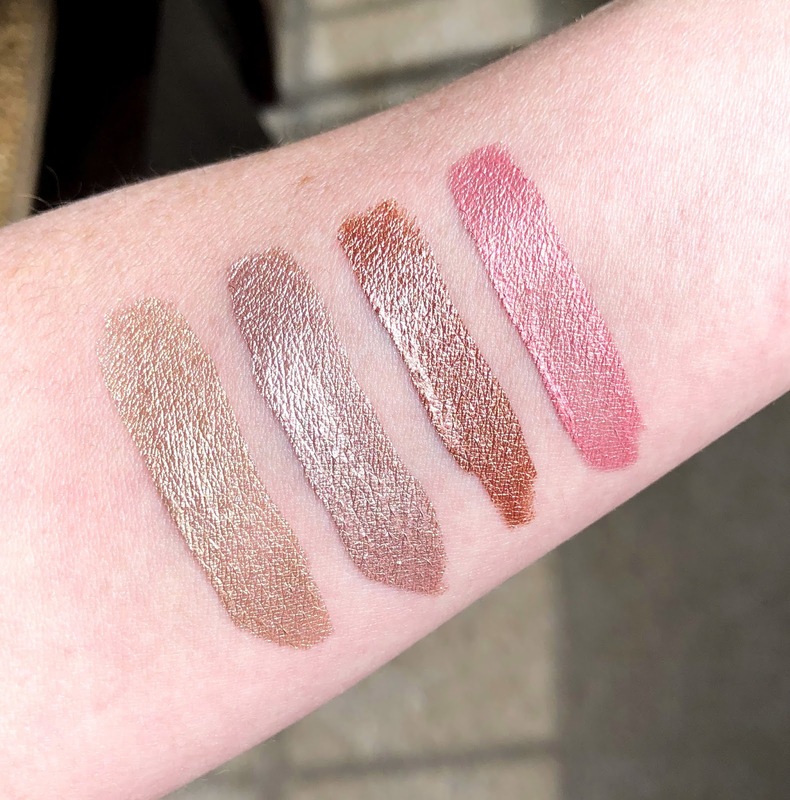 I've been hearing so much buzz about these liquid eyeshadows! They look amazing! They really are! Kitten and Starlight are perfection.